Mondo wants to make it easier to manage your money on your phone. Compared to their global counterparts, Britain’s banks haven’t done a totally awful job of making the most of smartphone technology. It’s now possible to move cash between your accounts, pay bills and even pay contacts just by knowing their phone number, but there’s plenty of room for more innovation. 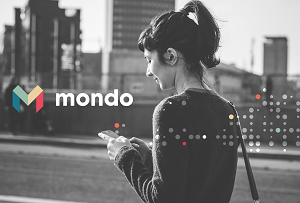 Since raising £2m last march Mondo, the ‘mobile-first’ challenger bank, has spent a year building and testing its current account product, which is controlled mainly by a smartphone app. As well as looking a lot less ugly than the big banks’ apps, Mondo is packed with features that let you categorise and track your spending to help you figure out how to save cash. ‘Rather than seeing the mobile phone as a way to flog more mortgages to people we see it as a way to deliver a delightful experience – banking that’s on a par with the other apps that live on your home screen,’ its CEO and founder Tom Blomfield told MT. But do people want to see their bank in the same way as Facebook or Instagram? 'People don't care about their bank, but people do care about their money and their finances,' he adds. Mondo isn’t technically a bank yet, as it is awaiting approval for a banking licence, but Blomfield said he’s hoping to get the go-ahead from the Prudential Regulation Authority by the end of the year. The start-up has just raised a fresh £5m in funding from previous backers Passion Capital and is now looking to drum up £1m more through crowdfunding. A chunk of that is likely to come from one of the 1,500 customers who are currently testing its trial product, a pre-paid card. It's not hard to see Mondo's app being popular with consumers but perhaps the biggest obstacle it has to overcome is force of habit. In its recent investigation of the current account market, the Competition and Markets Authority found that more than half of consumers have been with their provider for more than 10 years and 37% haven't switched for more than 20 years. Mondo has a lot of convincing to do.